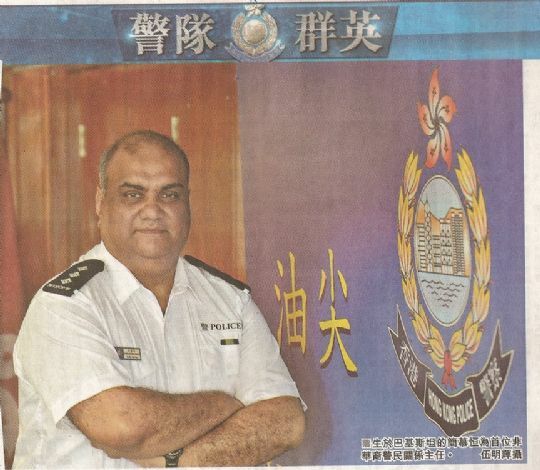 On 6 May, 2013 Sing Tao Chinese Newspaper published a whole Page spread on the story of Mr Munir Khan who is the first foreign head of the public relations department of the Hong Kong Police Yau Tsim District. The newspaper story talks about Mr. Khan's achievements and influence in the Police Force. Congratulations Munir ! You have made us Hong Kong Pakistanis very proud!